His father was a corporate director and his mother was a doctor. will publish, until its prohibition. He published two news : Among the ruins and The return of the Father. He began to write poems. in Denmark, in Arhus; in Holland in Leyden. he lived three months in France, in Paris. He participated in the Cycle "Great Reading" in Pompidou Centre. 22. 03 à 19h30 ( 1h30 ). Cycle "Grande lecture" : Bei Dao. Paroles. Small room - Pompidou Centre, Paris France. 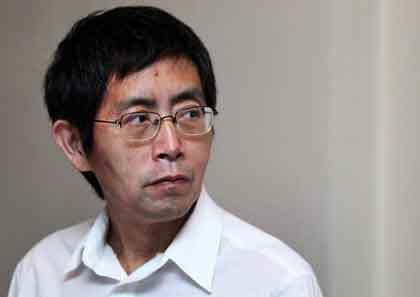 He was allowed to return to China. 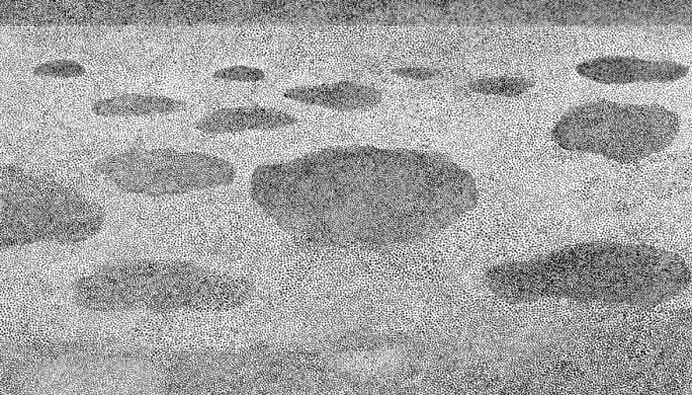 Followng his vascular stroke, he began painting countless ink points. He lives in Hong Kong, in China. 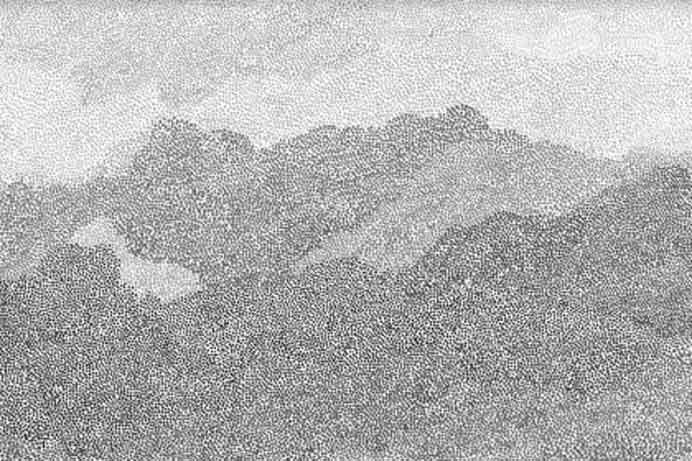 Au bord du ciel ( 1995 ) et Paysage au-dessus de zéro ( 2004 ). 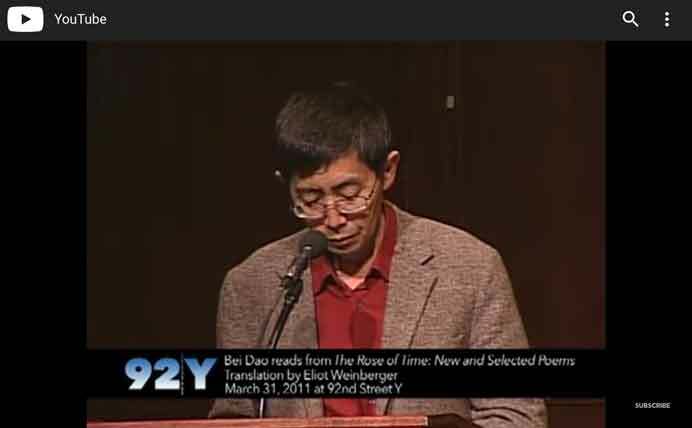 Bei Dao reads from "The Rose of Time: New and Selected Poems"